This collapsible sink is a great addition to small home, campsite or caravan without adding to the confined space. 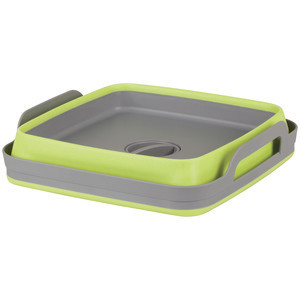 Pop it up and you will have a sink with twist open and removable basin strainer. When finished using, you can collapse it down to only a third of the original size and stow away easily in a drawer or cabinet. The carrying handles come really handy if you have to collect water from distance. 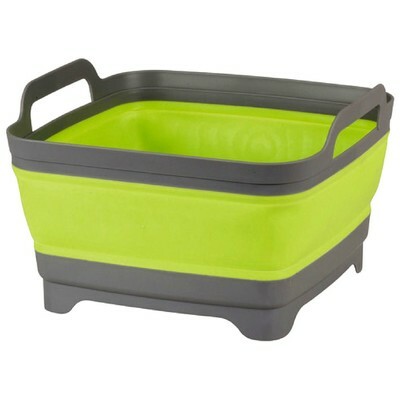 I haven't used this yet but think it will work well - it weighs less than many other collapsible sinks out there and is a much more attractive colour - if that even makes a difference.